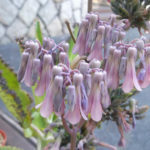 Kalanchoe daigremontiana is an upright succulent perennial up to 3 feet (1 m) tall, with opposite, fleshy oblong-lanceolate, grey-green leaves, often spotted with brown-red and with a row of plantlets on each edge. The plantlets form roots while on the plant. 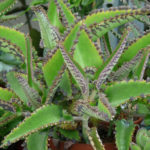 The leaves reach up to 8 inches (20 cm) long and up to 1.2 inches (3 cm) wide. 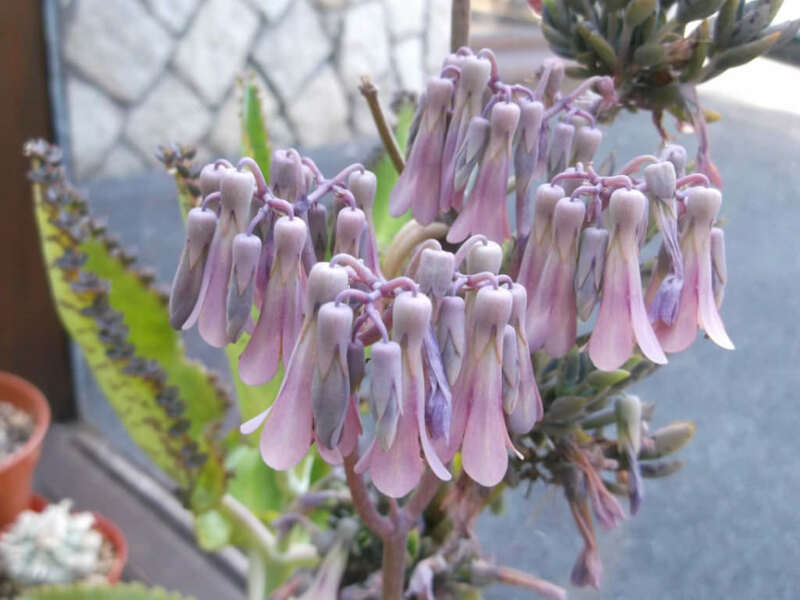 The flowers are tubular, grayish pink in color, up to 1 inch (2.5 cm) long. This succulent loves to receive a good dose of direct morning sun. It can take any amount of humidity but the one thing it cannot take is soggy soil. 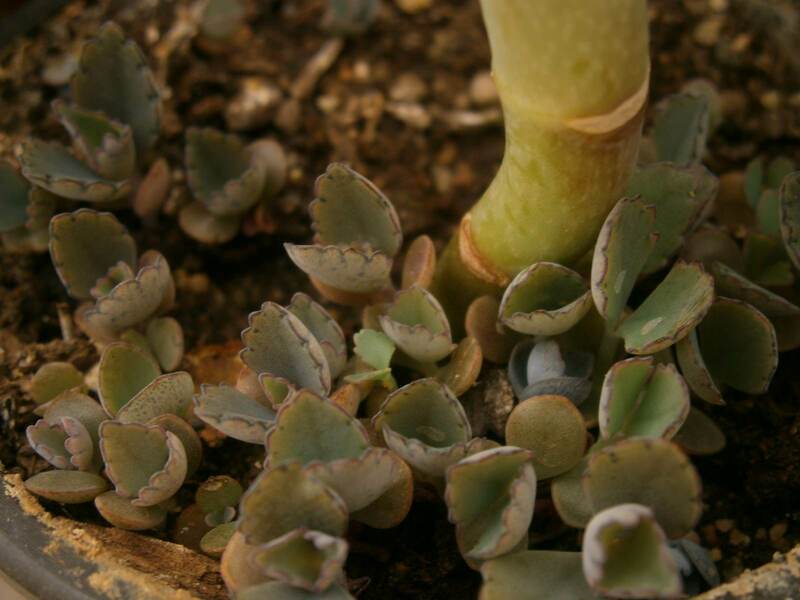 To prevent this, only plant Mother of Thousands in a soil mix for succulents or create your own. 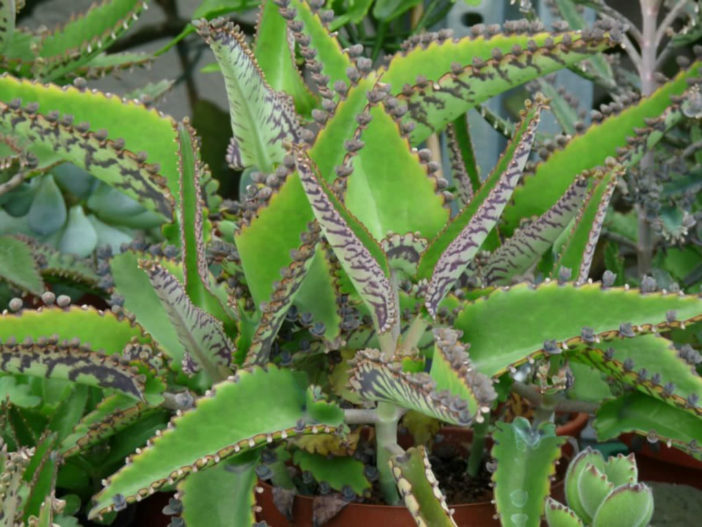 Also, only plant your Mother of Thousands in a terracotta pot that has a drainage hole. This will reduce the chances of overwatering. As far as watering this plant goes, water until moisture comes out the bottom of the pot and then do not water until the first 2 inches (5 cm) of soil is dry. In the spring, begin to take your plant outside to harden off. 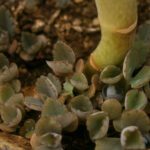 This succulent loves the warm weather of summer but not gradually exposing your plant to the outdoors will cause scorching of the leaves. Native to the Fiherenana River valley and Androhibolava mountains in southwest Madagascar.